Souvenirs from our trip to Maui. Aloha! Howdy! Happy Monday! I missed you! I think that about sums it all up. When I last posted TWO weeks ago, I never envisioned these past 14 days would unravel as they did. I had only planned on taking a bloggie vacay for ten days tops. In fact, I had great hopes to post last Monday and brag (kindly and excitedly) about our trip to the Valley Isle. Unfortunately, I managed to get the flu on the first night. Can I get a giant womp womp?! Besides the occasional migraine, I NEVER get sick. Much to my dismay, it took me a week to bounce back to my regular Type-A self. I felt pathetic, and I may have been guilty of throwing a toddler-like tantrum in the hotel room because I couldn't believe this was happening. I was stuck in bed playing Candy Crush, noshing on Tums, and the only cocktail I was sipping was Pepto-Bismol and Sprite. Flyboy and my in-laws were gracious and rolled with this minor snafu. Although it wasn't quite like I'd imagined a few months ago, I'm certain we must go back before we move. The time spent in Maui was amazing! It's absolutely gorgeous, and it was fun to feel like a tourist. I felt so relaxed and giddy; it was the kind of getaway you dream of. On a daily basis, I meet people who are so ecstatic to visit Hawaii. Their joy is genuine and contagious. For a lot of people, this is a trip of a lifetime, and I kind of forget that! As awful as it sounds, it's quite easy to get jaded when you live here. In fact, tourists can be irritating and many of us will do anything to avoid Waikiki. With an imminent move in our future (Hello, October! 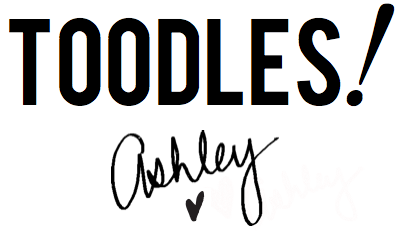 ), it's become more evident than ever that we need to appreciate this blessing in its entirety. The trip couldn't have come at a better time because it was a wonderful reminder that there's been a lot of joy in this Hawaiian journey — it's just a matter of acknowledging it and being grateful. Our time is limited and the moving to-do list is starting to get rather lengthy. Whenever it gets a little overwhelming, I plan on revisiting the photos from our trip to Maui. I hope they serve as a reminder to embrace these last months with the same kind of zeal and affection as any tourist might. If you're interested in some of the little moments I captured, then buckle up buttercup and prepare yourself for all sorts of touristy shenanigans ahead. 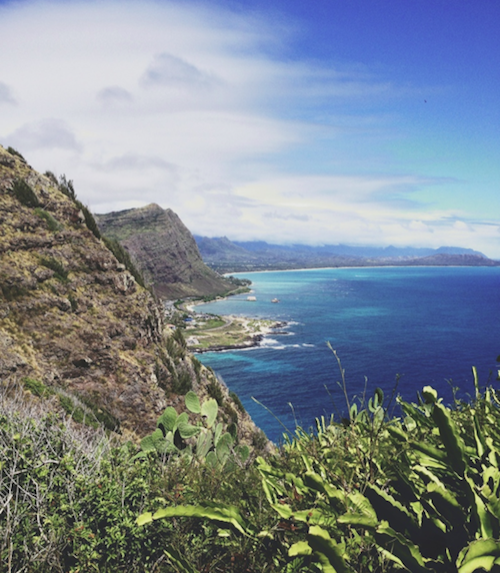 A few days before jetting off to Maui, we enjoyed one of Oahu's prettiest views from Makapu'u Point. I'll never get over the color of the ocean and the various shades of blue. It's stunning! Lahaina is such a charming little town. After landing in Maui, we spent the afternoon hopping from shop to shop. 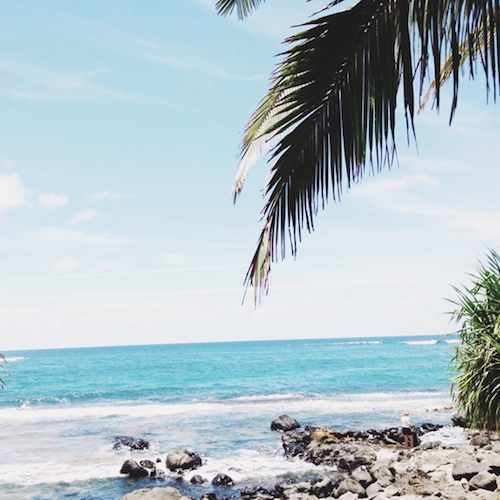 A seaside snapshot from Mama's Fish House, located in Kuau Cove on Maui's North Shore in Paia. 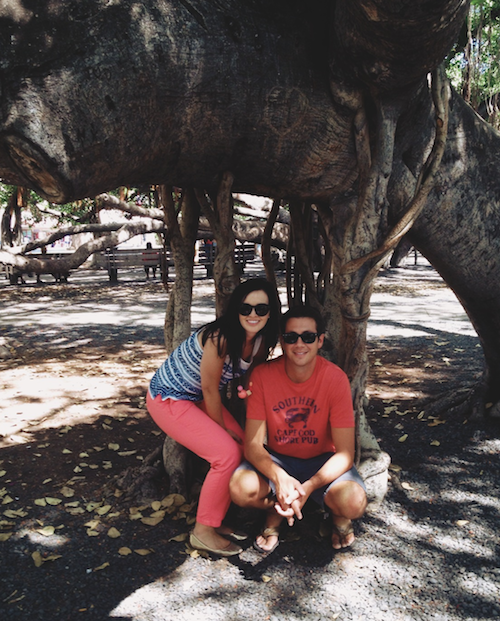 Banyan Tree Park in Lahaina was a treat. The tree is ginormous! Loved this giant hand-carved hula girl statue in Lahaina. One of two REAL cocktails I enjoyed before getting the flu bug. It was the best Tom Collins EVER! Hint: Hendrick's was involved. On the 4th of July, I tried to convince myself I wasn't sick and we visited Paia. Based on my sallow complexion, I was in denial. 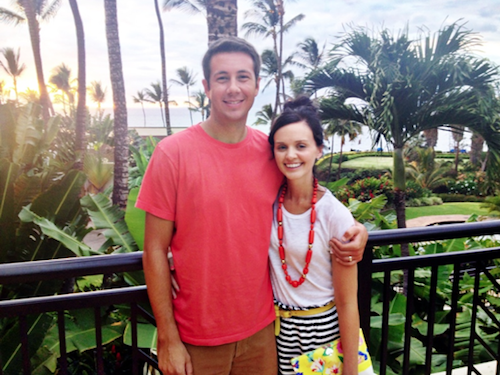 We stayed at the Wailea Marriott and it was just as lovely as I hoped it would be. The grounds were b-e-a-utiful! Quality time with this dashing dude made the trip oh-so perfect! The coastline in Wailea and Kihei is gorgeous. Everything looks like a postcard. I couldn't help but be snap happy! My in-laws after they enjoyed lunch at Mama's Fish House. I'm not sure which was better, the food or the ambiance. The view from Mama's Fish House. I wasn't able to stomach lunch at Mama's; however, I enjoyed a banana under a palm tree and watched a nearby turtle. Bliss. The trip was complete once Flyboy and I claimed this hammock. I never wanted to leave! I know I said it before, but I truly missed you all! This blogging thing feels a little bit rusty, but it's swell to be in such fabulous company.